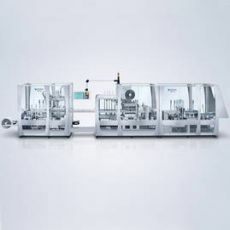 The KDT turntable machine packages small to medium quantities using the latest machine technology and impresses with its low acquisition cost, reasonably priced format components and low energy consumption. 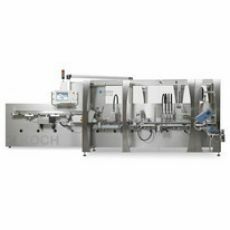 The blister machine KBS-PO with oval pallet transport is based on a well-conceived machine concept for the reliable, productive and cost-optimized packaging of small to medium-sized batches. For efficient packaging of different formats. KOCH KBS-KF – Big in every way: Format, film diversity, functional reliability. The KBS-KF with chain guide packages diverse products with high output. KOCH KBS-PL – tried and tested technology: with high cycle rate, for large runs. The KBS-PL with linear pallet conveyor stands for packaging with large runs of the same or similar products with maximum productivity. And reliable processing of all common rigid films. 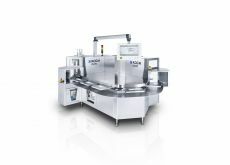 KOCH KBS-PT – Multi-talent With octagonal pallet conveyors. 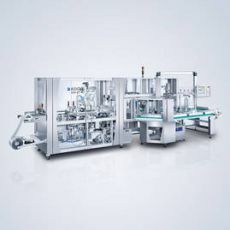 The KBS-PT machine design combines fast format changes, high packaging capacity and flexibility in the processing of different formats and materials. 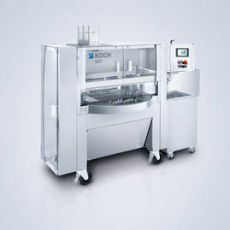 With its eight-sided pallet conveyors, it is also extremely compact. 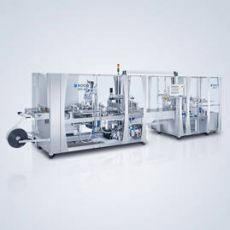 For in-line labeling solutions, we select the most appropriate from all popular printing systems, in accordance with your specifications, and integrate it directly into your blister machine. You can label folding cartons, card or film blanks and blister cards in compliance with the latest track and trace guidelines: clearly, reliable and traceably.